Lush tropical rainforests, green prairie pastures and other soil-bound vegetation have long flourished in the ecological limelight. But now the other half of the planet is about to enjoy its day in the sun. 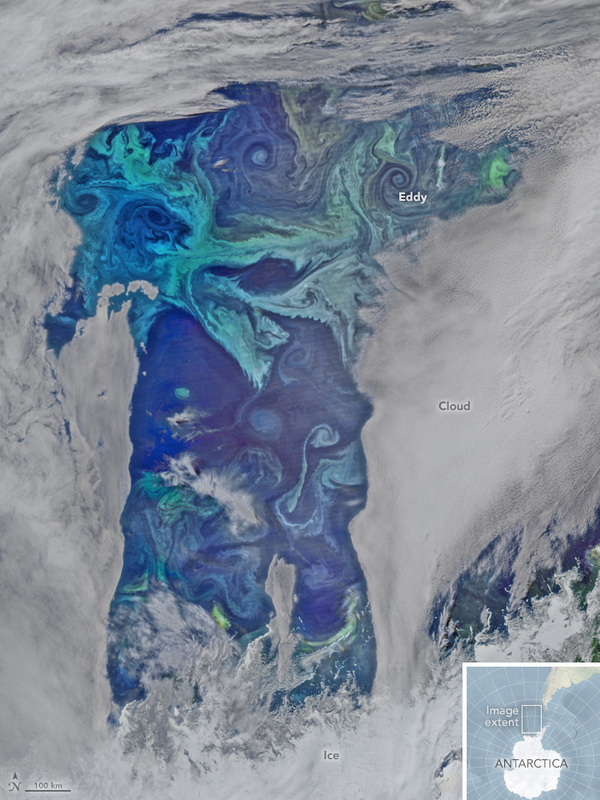 Via Blue Planet:What’s happening to the oceans’ phytoplankton? "The amount of data released is already enormous; it is one of the largest databases of DNA available to the scientific community. Scientists have analysed perhaps 2% of the samples collected throughout the world - so there is a huge amount of work to do in the future to understand even more about the functioning of these marine ecosystems and the importance of that for the wellbeing of the planet. -- Phytoplankton obtain energy through the process of photosynthesis and must therefore live in the well-lit surface layer (termed the euphotic zone) of an ocean, sea, lake, or other body of water. Phytoplankton account for half of all photosynthetic activity on Earth.